Hailing from South Dakota, Kelli found her way to the rivers in the West. 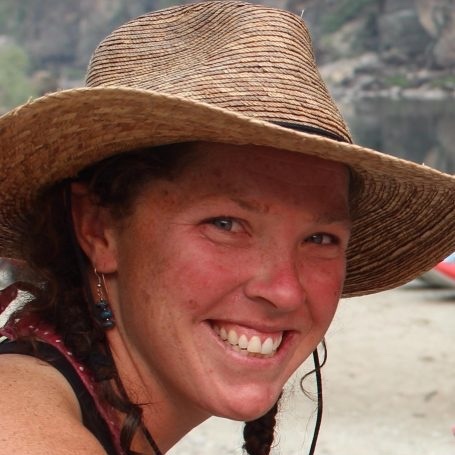 Each year she splits her time guiding between the Middle Fork & Main Salmon Rivers with us at CANYONS, the Colorado River through the Grand Canyon with AZRA, and in China with Last Descents River Expeditions. A few years ago Kelli started her own outdoor-wear company called FunHoggin’ Fleecewear. She hand sews fantastically fun and festive fleece board shorts and skirts. Kelli’s authentic smile is like none other and the word “contagious” barely gives props to her amazing energy. In her free time, she loves to snowboard, run, socialize with her friends and family and live life to the fullest.